To the free and independent ELECTORS of the City of PHILADELPHIA. . . The custom has been to deny the right of voting to all persons who have come from Germany, &c. until they have been naturalized, and taken such oaths as men now-a-days much object to; and what seems peculiar to this city alone, all men below the estate of fifty pounds are precluded. Now I must profess myself of the Forester’s opinion, that every man in the country who manifests a disposition to venture his all for the defence of its Liberty, should have a voice in its Councils. . . . In this day of protests and rebellions organized through Facebook and other online resources, we wonder how something like the American Revolution could have ever been organized and the word spread. Every city in early America had a newpaper. These periodicals were small, usually 3 or 4 columns, only one page, and published at most a few times a week. They didn't have investigative reporters, but they would print just about any document brought in to them. These papers were delivered to those who could read and afford subscriptions, but were also read aloud in taverns and other gathering places. 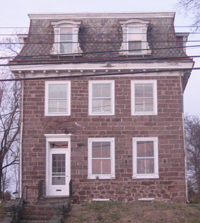 In the 1770s, John Dunlap printed his Pennsylvania Packet three times a week. In 1780, he joined forces with David Claypoole who eventually took over publication. In 1784, the Packet became America's first daily newspaper. The Pennsylvania Packet was the first paper to print The Declaration of Independence on July 8, 1776 and, in 1787, the first to print The United States Constitution. Throughout the Revolution, Dunlap printed open letters, such as the one above. Many of Thomas Paine's letters were published, which he frequently signed "Common Sense" or merely, "C.S." Paine's essay Common Sense was originally printed as a brochure, but the full text appeared in the Packet at the end of the war. 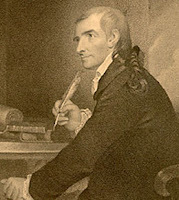 Francis Hopkinson, signer of the Declaration, wrote many essays and poems for the Packet. 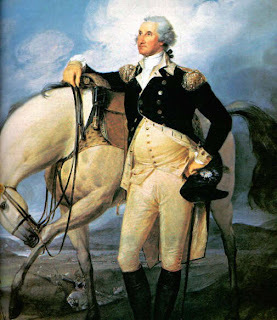 His "Battle of the Kegs", a parody describing events of British-occupied Philadelphia, was published in March of 1778 and his tribute to General Washington, titled "A Toast" came out the next month. 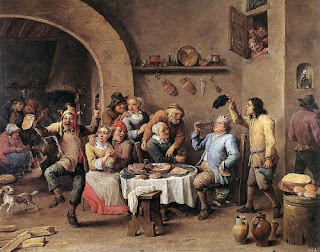 "A Toast" can be heard on Colonial Revelers 1st CD, Revelry, Reflection & Revolution, along with "God Save Our Thirteen States," printed in the Pennsylvania Packet in 1779. 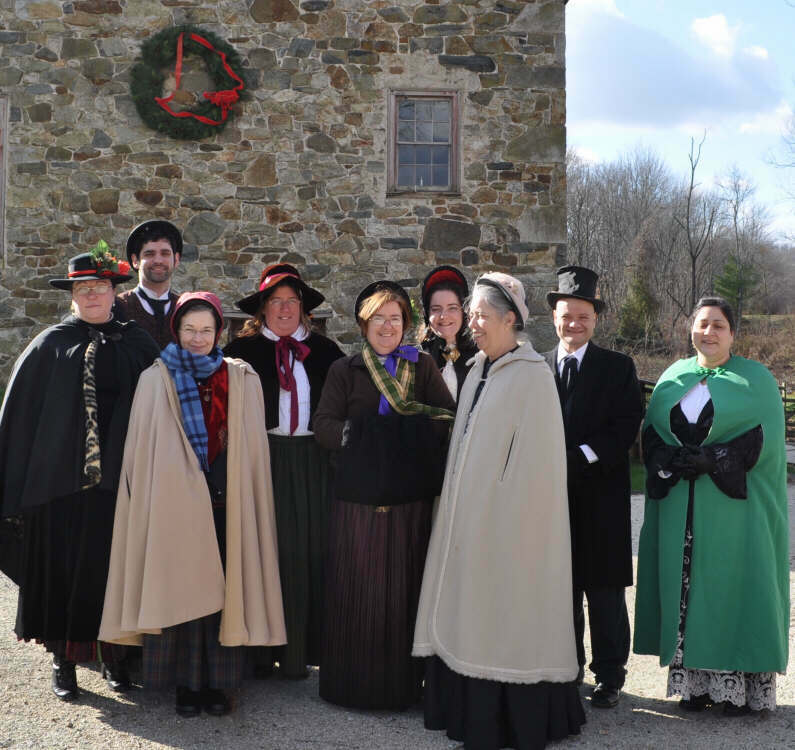 Colonial Revelers will stroll around the lake and sing at this great multi-era living history event. In the early part of the decade, Stafford Heritage Days took up a whole weekend and included a reenactment of the Battle of Cedar Bridge, the last engagement of the Revolution (darn those New Jersey loyalists!). Living history groups of all eras showed up, including colonial pirates, temperance ladies, a vintage baseball team, and the most eerily realistic General Grant, Chamberlain and Mr. and Mrs. Lincoln you'd ever want to meet. Then the recession hit, resources were limited and the project was put on hold. This year, we're glad to see a comeback. Come out and join us. It's always fun. Colonial Revelers will provide period music in the living history area whenever guns and cannons are silent. The Battle of Brandywine took place on September 11, 1777 and was the largest battle of American Revolution, with Washington's forces numbering about 15,000 and the British with perhaps 17,000 troops. Washington held a decent position on the hills above the Brandywine Creek, but he was in a loyalist/pacifist neighborhood. Deliberate misinformation, poor communication, bad reconnaissance and inexperienced soldiers all contributed to the American defeat, yet they were able to retreat to Chester and regroup. The British were hampered by the heat of the day and the length of time they took to march around the American flank to ford the creek. Come tour Washington's and Lafayette's Headquarters, view living history demonstrations, eat colonial food and, of course, hear Colonial Revelers sing. Between the Declaration of Independence in 1776 and the Constitution eleven years later, the United States had no federal government and no federal taxes. A Tea Partyers dream. Only a loose Confederation held the states together. Each state had its own laws, ways of raising revenue, and even its own paper currency. Then again, not many folks wanted the bills anyway. The only money worth anything was gold and silver coins, and they were hard won. In those years, after fighting an expensive war, the country was broke and in its first economic depression. Many of the soldiers who fought in the Continental Army weren't given their back pay or pensions. The states had their own militias to worry about. Greedy men took advantage of the situation, like the Morrises, who held a monopoly in trade agreements for tobacco. Three jolly rogues of Lynn. The first line says it all. In the 1780s, lots of folks lamented the "good old colony days" before the Revolution. The song goes on to tell how the miller stole corn, the weaver stole yarn, and "the little tailor, he stole broadcloth for to keep the three rogues warm." The poor and working classes in America could more than identify with the rogues' need to provide themselves with food and clothing. Eventually, though, the Constitution provided for a strong and flexible Federal government and decent trade with Europe was established, bringing Americans fancy French imports like flannel, denin and corduroy (giving little tailors a wider choice of fabrics). Still, while the America of the 1780s wasn't the government-less Utopia some citizens envision today, there was no Capitol Hill, and no Congress as we now know it. So how bad could it have been? When I was a kid, and I saw photos of people dancing around a Maypole while holding brightly colored ribbons, I thought it looked pretty silly. Oh, I didn't have anything against folk dancing--in fact, I liked it. I grew up in an Italian family and we all learned to do the Tarantella at weddings. But I didn't get why you needed a pole or a piece of ribbon to hold onto. Why not just dance? Of course, I'd never actually seen a Maypole dance performed. When I finally witnessed, then participated in May Day celebrations, I came to understand that the dance, though fun, was only a means to an end. The steps are fairly easy. Children and awkward adults like myself can do them, and often do, because something about Maypole dancing makes you want to join in. But the gist of the whole thing is to take those ribbons and plait them around the pole, or create a web away from the pole, using only the dance moves. The great thing is, preteen boys will dance with girls because they concentrate more on making the pattern than on getting cooties. In the simplest Maypole dance, the Grand Chain, every other person around the pole clockwise while the rest go counterclockwise, alternately ducking under ribbons and lifting theirs over the next person. Dancers can walk, skip or do a polka step. In a variation called Barber's Pole, every other person stands still while the others move clockwise, then they switch and the second group goes counterclockwise. Dances such as Spider's Web, Gypsy's Tent, Jacob's Ladder and Pyramid form out-from-the-pole patterns. I've seen Maypole dances where, once the dancers are holding their ribbons out and taut, a green wreath is placed over the top of the pole. As the plait is formed, the wreath moves down the pole. If the dancers reverse their steps, the wreath moves back up. Below is a video of kids weaving a Maypole. Enjoy! Most Americans don't recognize the name of Francis Hopkinson. Some know enough to state that he was a signer of the Declaration of Independence. Beyond that, he's been more or less lost to history, but this patriot ranks right up there with Franklin, Jefferson, Hancock and Washington. Hopkinson was born and died in Philadelphia, and lived part of his life in New Jersey, representing that colony in Congress. He was in the first graduating class of the College of Philadelphia (which merged with the University of Penn in 1791), then studied law. He also served on the committee that drafted the Articles of Confederation. Besides becoming a lawyer, statesman, and jurist, he's been described as "a mathematician, a chemist, a physicist, a mechanic, an inventor, a musician and a composer of music, a man of literary knowledge and practice, a writer of airy and dainty songs, a clever artist with pencil and brush and a humorist of unmistakable power" (Tyler, Literary History of the American Revolution). It's as a writer and musician that we'll discuss him here. He is credited with being America's first secular poet-composer, having published his first song in 1759 at the age of 21. Hopkinson also became well-known for his essays, many of which were satirical, such as his "Typographical Method of conducting a Quarrel" and "Essay on White Washing." About the same time, Hopkinson wrote a tribute to Washington entitled "A Toast." "A Toast" can be heard on Colonial Revelers CD Revelry, Reflection and Revolution. See our website for details. The words above were suggested by Benjamin Franklin for the motto to be placed on the Great Seal of the United States. Six years and three committees later, in 1782, the seal we know of today was adopted, sporting the tamer motto "E Pluribus Unum" or "Out of many, one." One month ago, most Americans might have had a difficult time bending their brains around what "rebellion to tyrants" actually involved. Now we've seen it in Egypt, Libya and other parts of Middle East. More than 60% of Americans polled think we're seeing it in Wisconsin. Still, most of us are surprised to learn that in the 18th century, most folks had less notion of how to rebel against tyranny than we modern Americans do. Sure, uprisings had occured since the dawn of time, often by the oppressed poor who got tired of being dictated to by the rich who hoarded all the wealth. Until 1776, though, you didn't hear much about groups of wealthy, learned men who told their king, "Sorry, we've had enough of not having a say in what you're doing to us, so we're going to form our own country and a democracy at that." Of course, their idea of a democracy didn't include the non-wealthy, non-male or non-white, but it was a step away from tyranny, at least. People got behind the idea of democracy. Who wouldn't? So they wrote songs about standing up against tyranny. Nor stain with dishonor America's name.